In 2013, Atlanta’s Mayor, Kasim Reed, announced his plan to make Atlanta a top-10 cycling city. It isn’t rare to see ambitious bikers zooming down Atlanta sidewalks. In the past decade, however, Atlanta bike accidents have become a topic of concern. The Atlanta Regional Commission, which approved a $1 billion plan to make the area safer for pedestrians and cyclists alike, may not quell the deeper dangers of cycling. In recent years, cycling in Atlanta has jumped in number, in no coincidence, the city has 45.2 miles of bike lanes. Additionally, records show that approximately 1.1 percent of Atlanta workers commute by bicycle. This number has only risen, creating an environment of intensive bicycles—and, sadly, bicycle crashes. While Atlanta is historically a city highlighted by automobile transport, its highly compact urban form, mild climate and many recreational destinations make it a popular cyclist destination. Heavy automotive traffic, difficulty crossing major streets, and a general lack of bike lanes, however, has created an environment conducive to biking dangers. Today, bicycle wrongful deaths account for approximately two percent of traffic fatalities, reports the National Center of Statistics and Analysis. Often, bicycle accidents occur when automobile drivers aren’t vigilant in maintaining proper lookout procedures. Despite the numerous safety precautions taken by cyclists, an accident between both automobile and bicycle can be incredibly dangerous. Today, many investigations are complicated by the incredible bias which exists when analyzing bicycle accidents. Atlanta cyclists are still considered to be unsafe, when compared with cyclists in other cities. As stated above, several plans do exist to quell the many bicycle-related accidents Atlanta experiences. The ‘Walk. Bike. Thrive!’ plan, for example, is expected to reduce bike accident casualties within the next 25 years. New sidewalks, bike lanes and multi-level projects, too, are expected to assist with public safety measures. Meanwhile, the Atlanta Regional Commission bicycling and pedestrian planner, Byron Rushing, considers future plans to be effective. The $1 billion plan, he estimates, is a small fraction of the overall $85 billion, 25-year transportation budget. The Atlanta metro region, however, will still require a great deal of attention. In recent years, Atlanta has received a sizeable increase in pedestrian traffic. The city-wide trail plan, one of the many changes about to occur, will seek to connect communities via large, multi-use bike paths. The Silver Comet trail—leading to Alabama—is of note. Similarly, a 22-mile Beltline surrounding the city’s core is expected to thrive. Regardless of the changes set to occur, cyclists are urged to take legal support into account. Those commuting by bike can face an astounding amount of danger. Whether traveling to work, school, a home, or even through a park, cyclists experience a variety of factors which might result in personal injury. Legal providers can root out any claim difficulties present after a bicycle accident. As stated above, many cyclists face bias—due to the nature of roadside travel. For this reason, a lot of cyclists have joined the Bike Commuters of Atlanta—which is a sub-group of the Atlanta Bicycle Coalition. These volunteers and members frequently share routes, advice, events and equipment related to Atlanta commuting. To travel by bicycle safely, however, cyclists should contact their legal representative. If an accident occurs, the representative can assist with the aftermath, financial obligations and any legal gray areas involved with the crash. Because bicycle riding is incredibly popular at all ages, related injuries are wide and varied. They often result in significant mortality and morbidity, and they can become incredibly troublesome in later life. Most bicycle-related injuries, reports American Family Physician, are associated with bicycling at high speeds. Today, the most serious fatalities and injuries result from direct collisions with motor vehicles. In most cases, bicycle accidents require a high degree of surgical treatment. Because many cyclists experience broken bones, immediate care is normally a response. 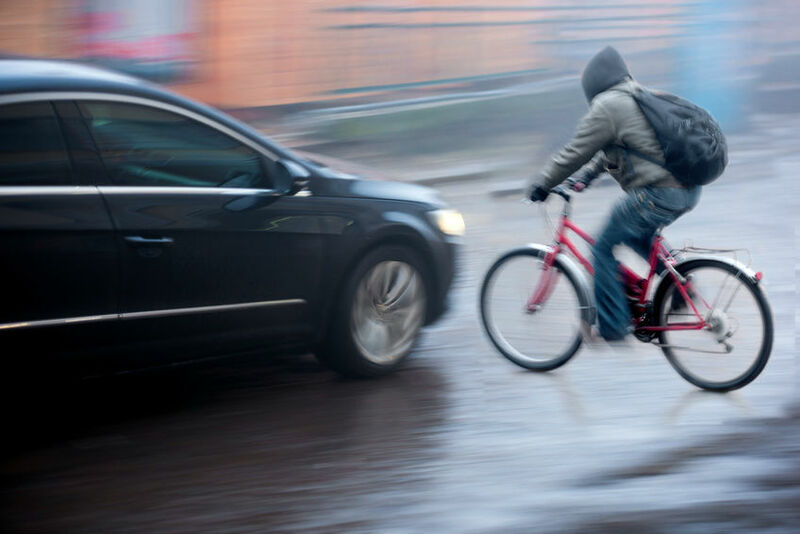 A cyclist can collide with any present object, road hazard, a pedestrian or even an immobile vehicle. The victim’s radius, scaphoid, or ulna can be easily fractured. Because collision with immovable objects—and moving vehicles—is a leading bicycle crash cause, legal representation is often needed to ensure the victim’s proper care. A health insurance company may pay for the individual’s medical bills, but they may seek reimbursement if a settlement occurs. Frequently, the other party involved with the accident will seek reimbursement for minor damages. It’s important to understand negligence in the eyes of the law. Negligence determination is a large factor of bicycle accidents, as cyclists are frequently questioned about their actions leading up to the crash. Sometimes, surrounding witness details may be inaccurate. Contact a legal representative today, and take charge with any personal injury, bicycle injury or car accident claims you’d like to explore. Your professional provider is here to help, and they’re always ready to assist your case. Greathouse Trial Law has been an industry provider for years, and it’s ready to assist your legal matters.